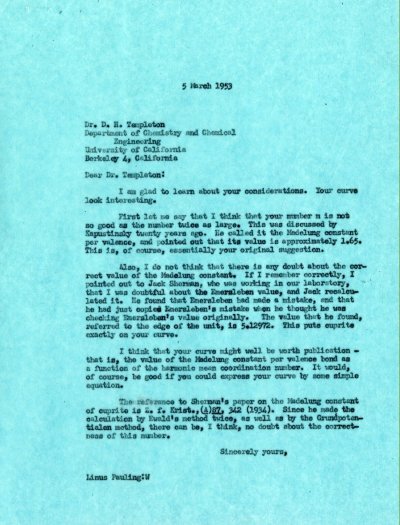 Letter from Ben May to LP RE: thanks LP for his letter of March 3, 1953. Writes that he has been in Washington for a while. Discusses budget information from the Truman administration and ends the letter with the hope that Dr. Burch keeps getting good results form the therapeutic treatment that LP has formulated.